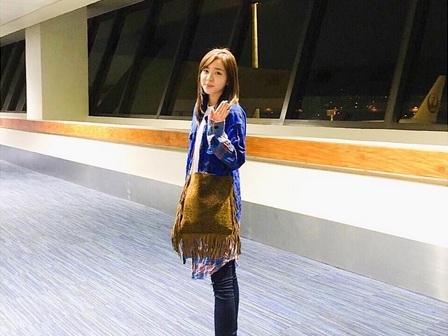 Sandara Park (Dara) came back to the Philippines on March 31 for a meet and greet event with her fans on April 2. 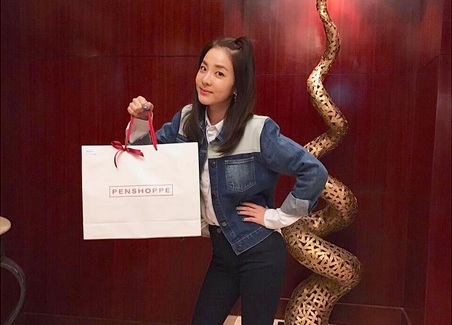 Like her previous visits, Dara caused a lot of buzz as she visited several spots in the country. Her meet and greet, which was sponsored by Penshoppe, was a huge success. Thousands of screaming fans welcomed her at the venue. For those who weren't able to enter the venue, Sandara was thoughtful enough to open the roof of her car just so she could wave at them. Social media was abuzz with the activities of Dara. But the talk intensified when somebody hinted that Park Bom joined Sandara at the Enchanted Kingdom (EK). At first, a lot of fans were asking if it was part of an April Fool's joke, when someone said that Bom was in the Philippines. But pictures of the two enjoying the rides at EK confirmed that Dara's 2NE1 groupmate was indeed in the country. 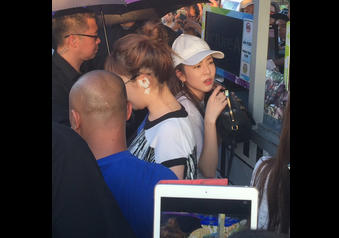 It seems, Bom quietly slipped into the country, surprising everyone with her appearance at the amusement park. Fans who caught a glimpse of the two were ecstatic, some were trembling and crying, hardly able to believe that two Korean pop stars were right in front of their eyes. They were all gushing just how beautiful Dara and Bom are. A few days after the EK adventure of Dara and Bom, news broke out that 2NE1's youngest member, Gong Min Ji or Minzy, did not renew her contract with the group. YG Entertainment, the group's label, said that they will not recruit a new member to replace Minzy. This makes 2NE1 a trio with Dara, Park Bom, and CL(Lee Chaelin) as the remaining members. Meanwhile, Dara said her goodbye to her Filipino fans via an Instagram post on April 5. Where's Bom? Apparently Bom left the Philippines as quietly as she came in. But for a lot of 2NE1's fans in the country, breathing the same air for a few days with her and Dara, was enough for them to feel happy.